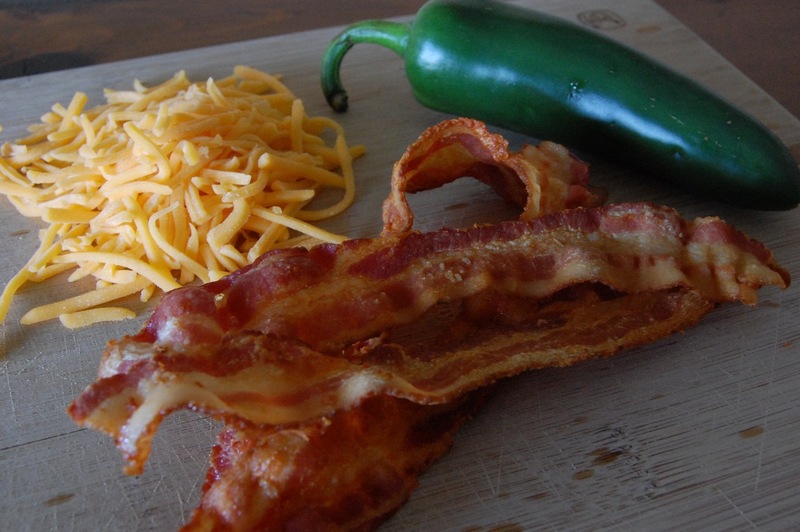 Ah… Bacon, cheddar and jalapeño. The intrepid trio. Boldly going where no ingredients have gone before. Well, that’s probably not true. But this is a good combo, nonetheless. I was always intimidated by stuffed chicken or chicken roll-ups. They looks so… difficult. They aren’t. Just choose your favorite ingredients and get rolling (har har har). I buy very large chicken breasts and slice them longways into two thinner cutlets. If you buy thinner cuts of chicken from the get-go, then use a mallet to pound them thin enough to roll. 1. Preheat oven to 350 degrees F. Lay chicken flat. 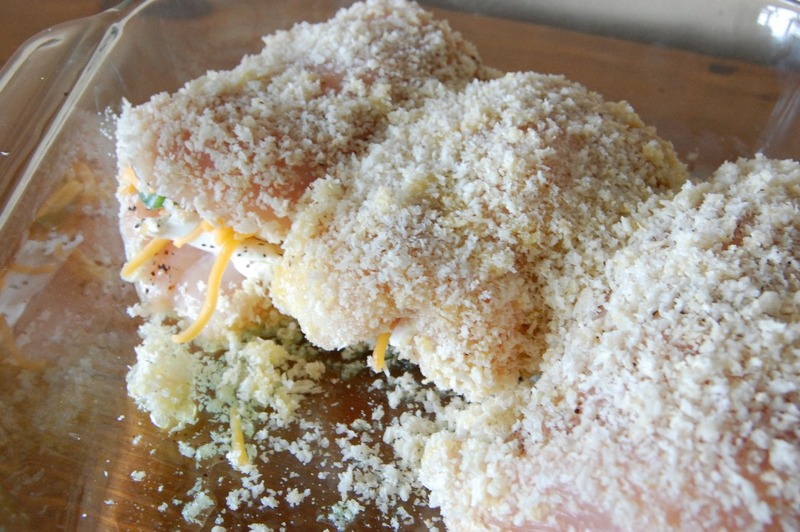 Spread cream cheese over each piece of chicken and sprinkle with salt and pepper. Add cheddar, jalapeño and bacon. Don’t add so much that it’s impossible to roll each piece. 2. Roll chicken, starting at widest end and rolling towards smallest end. If necessary, use toothpicks to pin chicken in rolled form. 3. Bake until cooked through, approximately 35 minutes. For final 2 minutes of bake time, add 1/2 tbsp of butter on top of each roll and allow to melt. 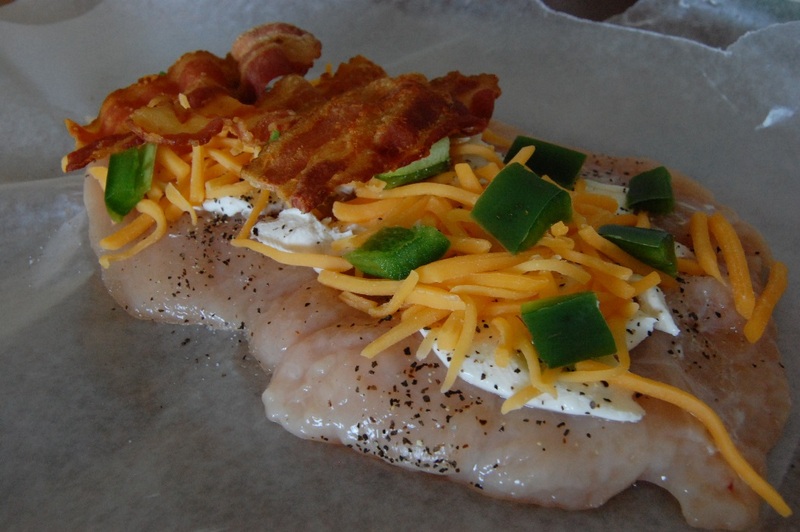 This entry was posted in Chicken, Dinner, Poultry and tagged Bacon, Cheddar, Chicken, Cook Time, Cooking, Dinner, Easy, Jalapeno, Poultry, Prep Time, Recipes, Roll-Ups, Simple, Yield by Lazy Suzan. Bookmark the permalink. I am all in favor of any dish that delivers bacon, cheese, and jalapeños. I mean, c’mon. Ya just gotta love it! 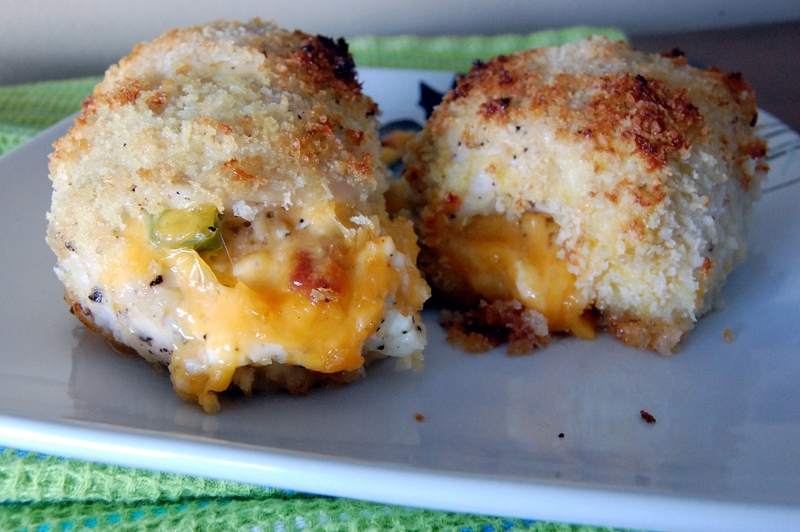 I’d like to say I’d make these for game day but, truth be told, I’m going to make them for myself. Bacon and sharing just do not go together well. Looks fantastic and easy ingredients. Thank you! They are easy. You always have the best pictures. It’s 8 in the morn. and I want this right now! These look amazing! Can’t wait to try this! 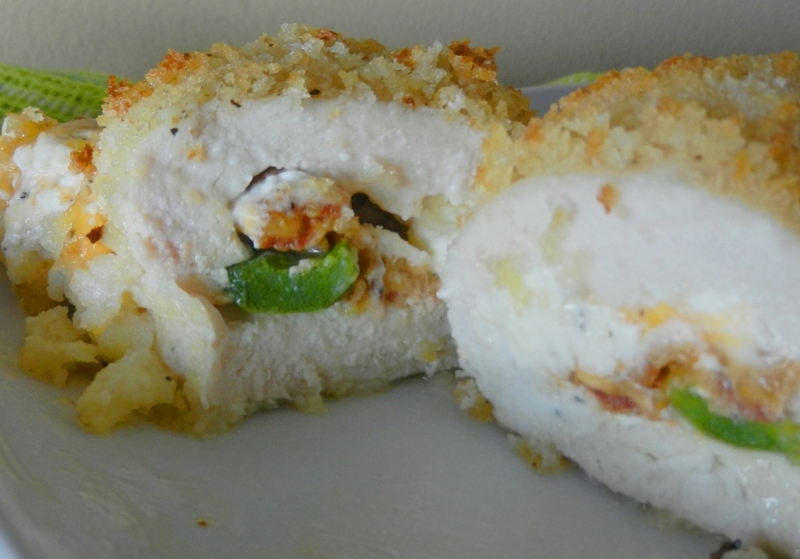 I’m not much of a spicy fan, but my boyfriend would have loved to have jalapeno in his stuffed chicken!